To best communicate Lysol’s® new product and build brand loyalty, Product Ventures created and developed this structural packaging to reflect the brand attributes of modern, light fresh scent, elimination of odors, and safe for fabrics. Functionally, the elongated neck makes it easy to hold, and the unique trigger shroud catches attention on shelf. 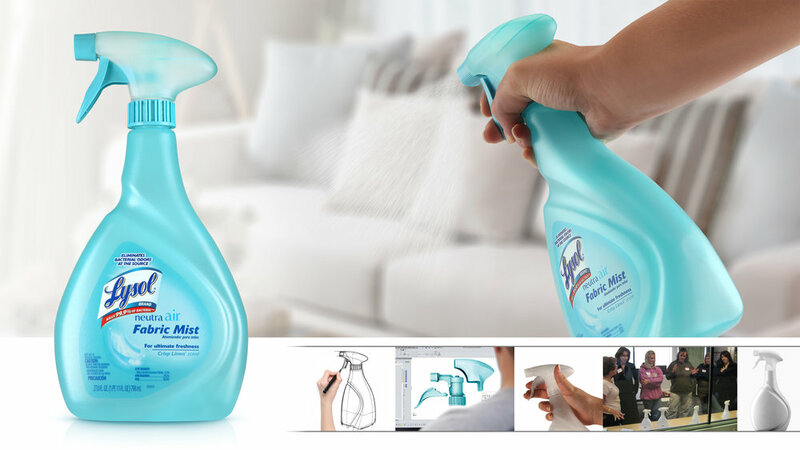 With its soft flowing curves and ergonomic design, the new structure encourages frequent use and protection for your home, positioning Lysol Neutra Air® Fabric Mist as the most trusted name in the germ-killing fabric refresher category.